It’s the game we’ve all been waiting for, as Barcelona vs Real Madrid kicks off this Saturday afternoon at the Camp Nou and the two teams are about to engage into their first battle of the season. First of all, Barcelona will come into this game knowing they still have a comfortable 3-point advantage over their arch-rivals Real Madrid in La Liga, which basically transfers part of the pressure to the Spanish capital club. Tato Martino‘s men are still looking to find their best form this season, which is perfectly natural to happen at such an early stage of the competition. However, it’s not like the Blaugrana have been flopping on the field and dropping unnecessary points one after another. Barça has actually won most of their games so far, holding an almost perfect record in La Liga with 9 games, 8 wins and 1 draw, while in the UEFA Champions League they have 2 wins and 1 draw out of 3 matches. Their last game was a 1-1 tie against AC Milan in San Siro and that may end up weighing a bit in the players’ minds as we go into a highly challenging “Clasico“. At the other side there’s Real Madrid. Just like Barcelona, the current Spanish vice-champions switched managers during the summer, as Carlo Ancelotti came in to replace the now Chelsea boss José Mourinho. The Italian has brought his own ideas to implement in the team, but with a highly demanding fan base at the Bernabéu, he might not be able to count with the time and patience he certainly needs in order to organize his team as he would want. Results will always come first and that’s exactly what Italian managers are known for. The Merengues will march into the Camp Nou battle after having defeated the Italian giants Juventus at the Santiago Bernabéu, but just like Barcelona, they have also been raising some concerns about the quality of their game despite a recent 4-game winning streak. Real Madrid is now 3rd in La Liga, 2 points behind Atletico Madrid who comes in 2nd and 3 points behind the leaders Barcelona. 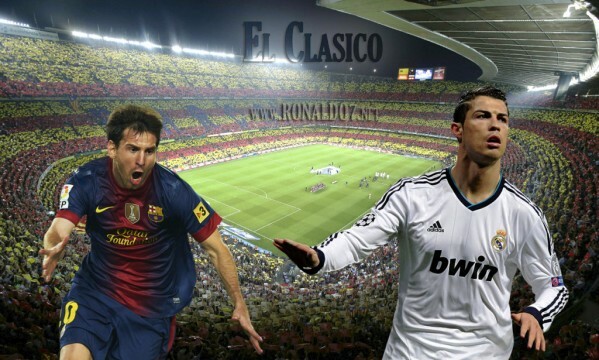 This first Clasico of 2013-2014 will also mark the “big games” debut for Neymar Jr. and Gareth Bale, Barça‘s and Real Madrid‘s biggest signings for this season. The Brazilian does seem to have settled in to his team a lot faster than the former Tottenham winger, a reality which is easily understood when we note that Bale didn’t have the opportunity to go through a normal pre-season training regime and has already picked an injury during his short stay at Madrid. This Saturday, both players will be eager to upstage everyone else and make their first true statement for their new clubs. 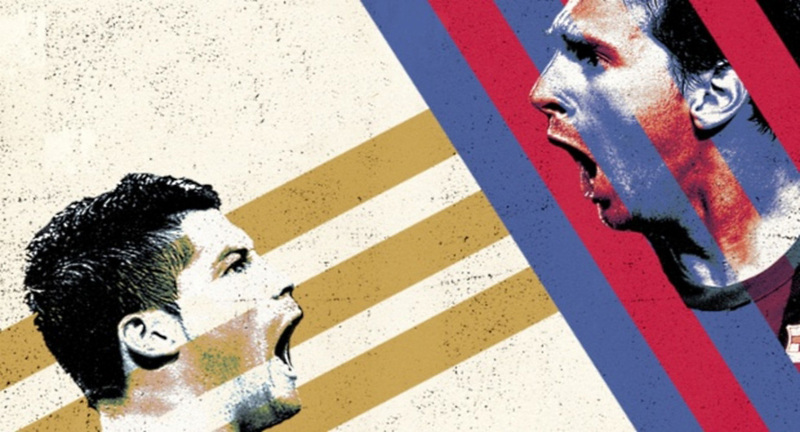 As for Cristiano Ronaldo and Lionel Messi, the two superstars come into this game holding on their shoulders their teams’ biggest hopes to set the difference, but it’s also quite obvious that Ronaldo has been in a better form than Messi over the past weeks. The Argentinian has been struggling with a muscular injury, which seems to have slowed him down quite a bit. In the other hand, CR7 has been absolutely on fire and has scored 6 goals on his last 4 games. 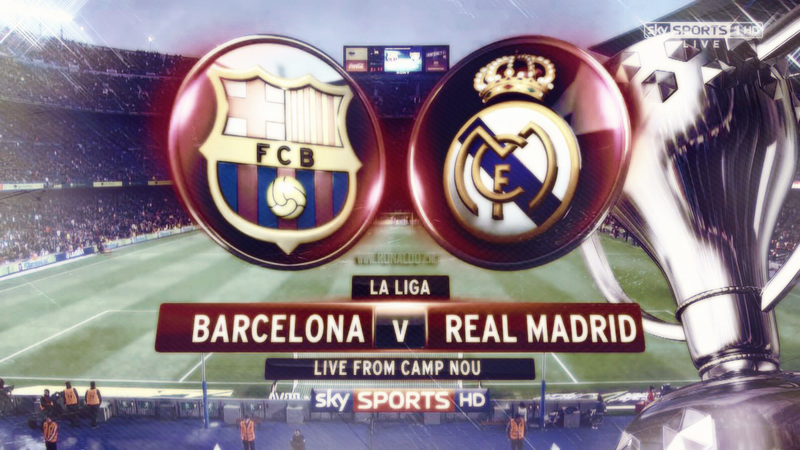 Where to watch Barcelona vs Real Madrid live stream? Check out Ronaldo7.net! – Lionel Messi has recovered from his thigh injury and is expected to start the game in Barça‘s line-up. – Gerard Piqué was in doubt for the Clasico, but seems to have recovered from his physical problems and was called for the game by Tato Martino. – Jordi Alba, Dos Santos and Afellay will sit out in the Clasico due to injuries. – Cuenca and Oier were dismissed from the squad being called against Real Madrid, due to a pure technical decision by the Barcelona manager. – Xabi Alonso remains injured and recovering from his physical problems and he’s the only Real Madrid player sidelined for the Clasico due to injury. – Gareth Bale is fit for the Clasico against Barcelona and will be at Carlo Ancelotti‘s disposal if the Italian manager decides to play him right from that start. – Raphael Varane has no physical limitation anymore and is also eligible by Ancelotti to be called up for Madrid‘s starting 11. Barcelona line-up (not confirmed): Valdés; Adriano, Bartra, Puyol, Daniel Alves; Busquets, Xavi, Iniesta; Neymar, Messi, Pedro. Real Madrid line-up (not confirmed): Diego López; Marcelo, Pepe, Sergio Ramos, Arbeloa; Khedira, Modric, Isco; Di María, Cristiano Ronaldo, Benzema.